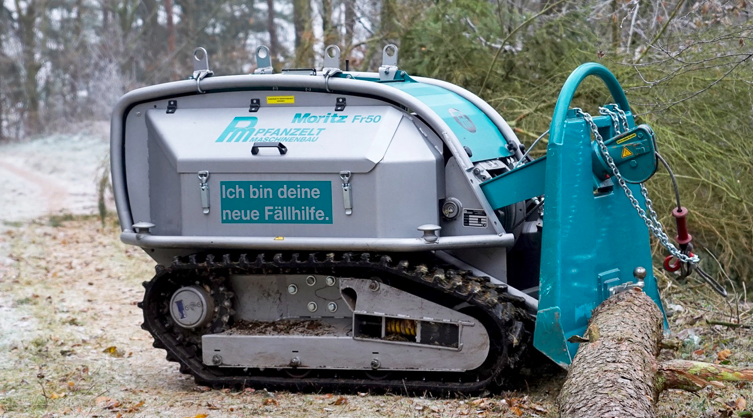 The Moritz is powered by a 4-cylinder 35HP Kubota engine with a proportional hydrostatic drive. Travelling at a top speed of 6.5 km/h, it is fully controlled by a radio remote. 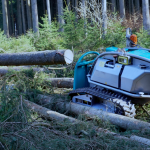 The machine is designed to flexibly meet a wide range of applications under a variety of working conditions, and is able to be built to the exact specification to best suit its user's application. 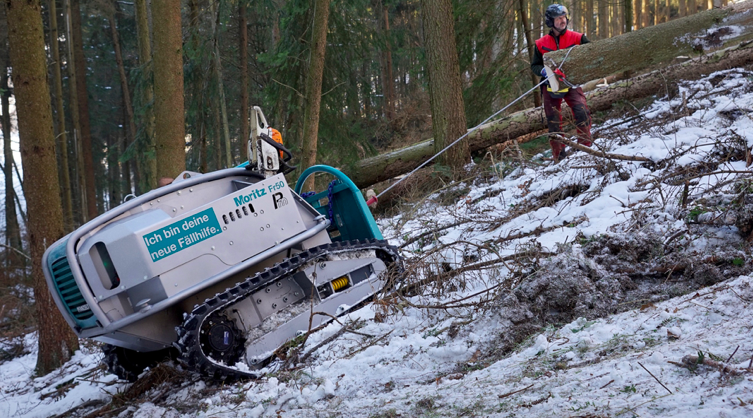 The Moritz Fr50 can be fitted with a 4 or 5 tonne geared cable winch, either hydraulically or mechanically driven. 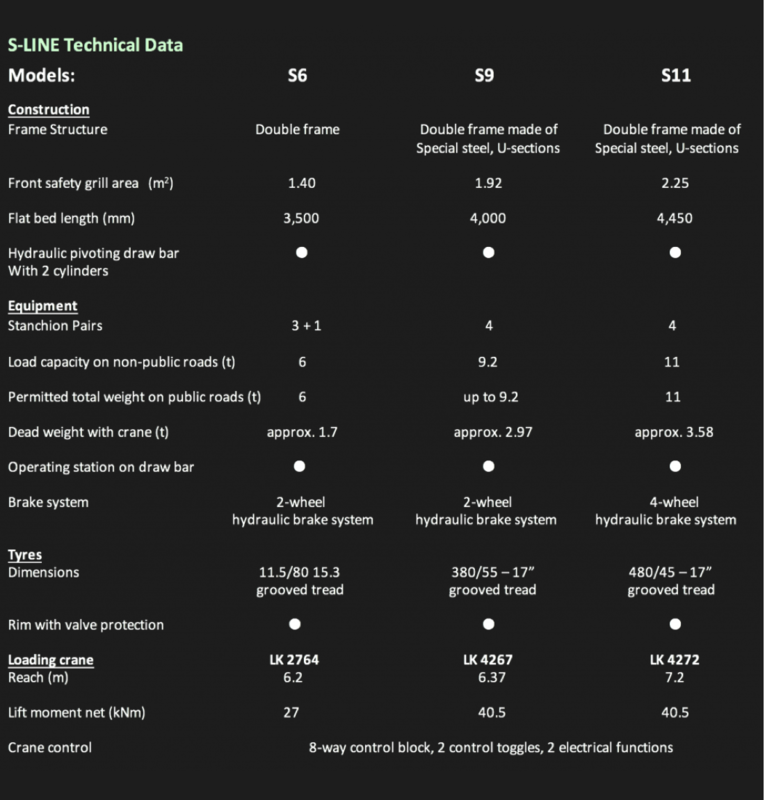 The winch comes with 70m of 10.5 mm rope as standard, with a drum capacity to fit up to 110m of 11mm rope. 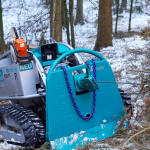 Optionally the winch can be fitted with a rope infeed brake, guaranteeing optimum cable spooling by giving more precise control and ensuring the cable is always kept taut on the drum. 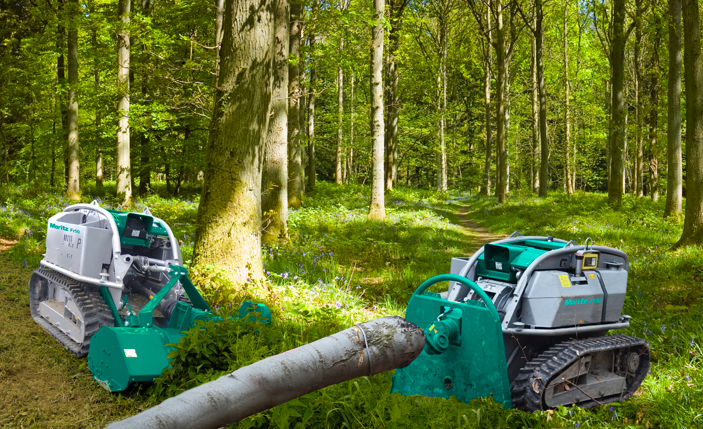 The cable speed is variable to suit the work demanded and the infeed height adjustable via the logging plate. 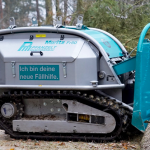 To further increase its functionality the Moritz can also be equipped with a three-point linkage and PTO transmission, for which an easily interchangeable 1.2 m mulching head is available. 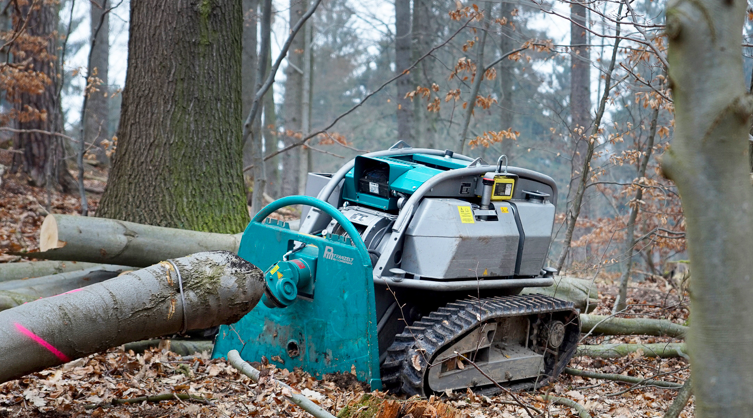 This also offers the operator the option to run any compatible 3-point attachment as required. 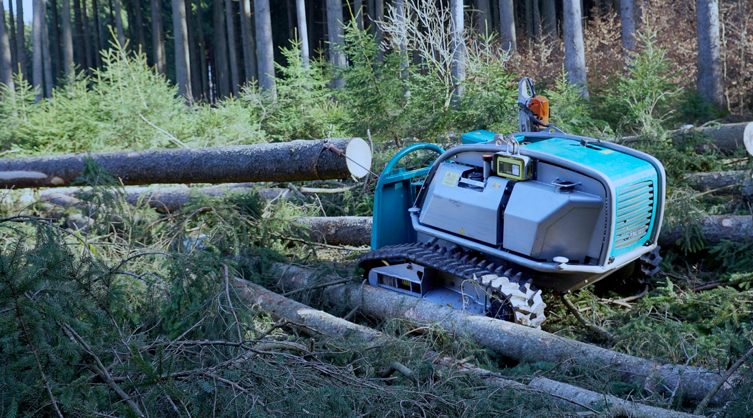 Fitted on rubber tracks, with a ground clearance of 300 mm and designed with a 45° angle at both end, it is an all-terrain vehicle capable of travel on steep slopes and rough ground. 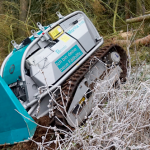 The machine’s chassis is built of special torsion resistant steel, at 1.1m wide it can be hydraulically widened up to 1.5m to give increased stability during operation. 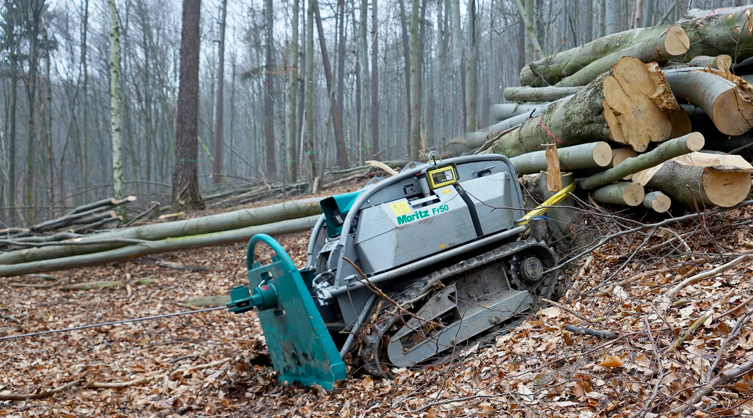 For the most demanding pulls, four fixing points at each corner of the chassis can help anchor down the machine. At only 1.4 tonne and 2.2 m long it is quick and easy to transport, being small enough to fit in the back of a van, pickup or small trailer. 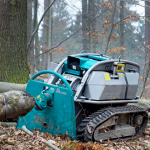 Its compact dimensions also access narrow and difficult site access. 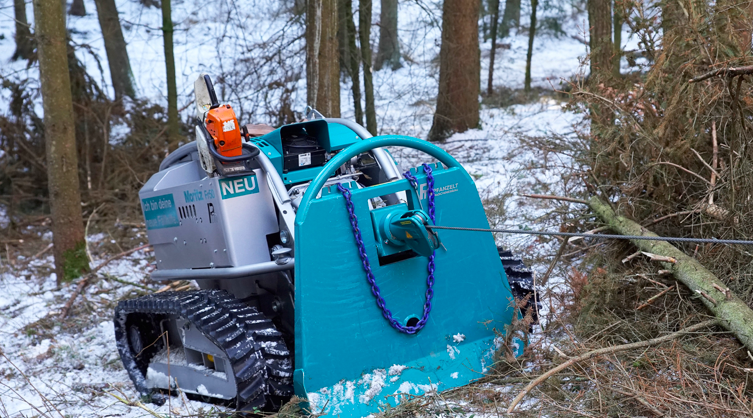 And with a low ground pressure less than that of the human foot, at only 0.30 kg/cm2 it is also perfect for fragile soils, SSSI sites and an ideal solution for work on wet ground. 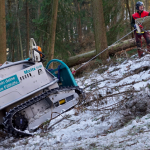 With all functions wirelessly controlled it is especially useful for fellings on steep and dangerous ground, allowing the operator to keep well clear of the risk zone. 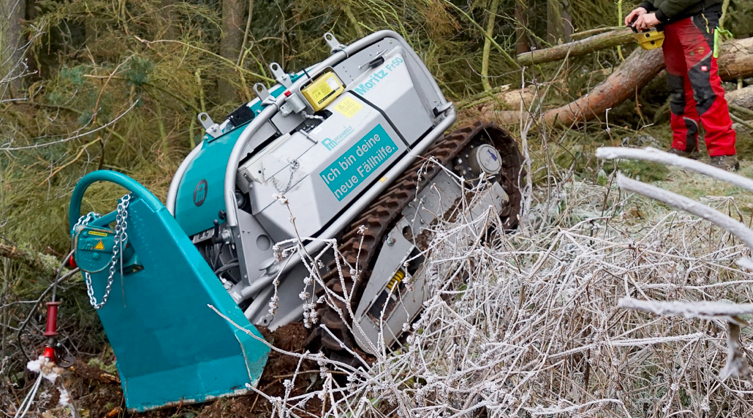 A useful storage box is also fitted to the chassis with enough space for a chainsaw and fuel canister. For further storage a transportBOX can also be fitted to the front of the Moritz. And it even comes with a horn!